Onions are arguably the world’s most widely used ingredient. They vary in shape and colour from flattish brown to round pale bulbs but share a common structure, with a papery outer skin and protecting inner layers of pale, crisp flesh. Once harvested and the outer skins dried, they can be stored for many months and transported across the globe: nature’s perfect packaging. To be used, the outer layers should be removed, the peeled onion can then be used whole, as in pickled onions, or chopped to be used as an ingredient in other products. Peeling is an awkward process to automate because onions vary in shape and size. M&P Engineering has been manufacturing onion peeling machinery since the 1970’s and have sold many thousands of units worldwide. Indeed many of today’s machinery from manufacturers worldwide is based on the M&P original design. 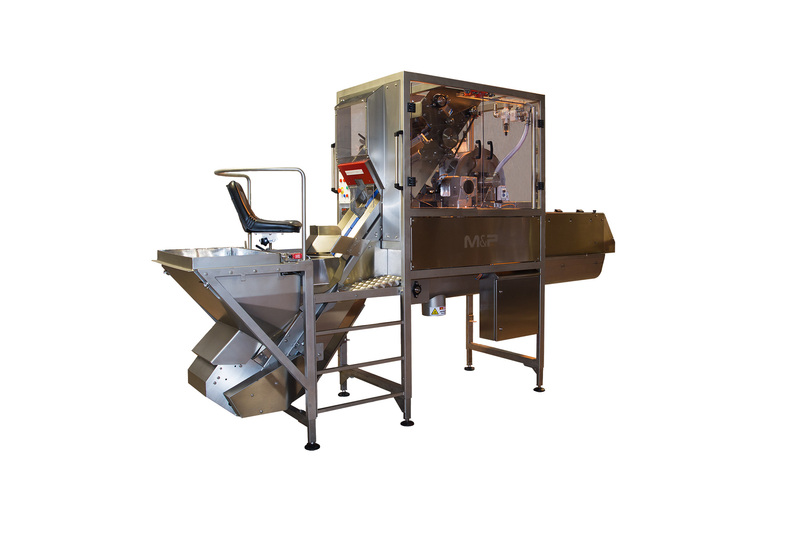 M&P supplies and services a complete range of onion peelers, contact us now for more details. The large onion peeler from M&P engineering tops, tails and peels onions of 45mm to 115mm diameter using self adjusting floating knife assemblies over a range of up to 25mm on any one setting. It then slits the onion horizontally from top to tail, the depth of slit is determined by onion quality and grade. The machine finally removes the skin using compressed air providing an end product of optimum appearance.